with the company’s burgeoning growth. In 2010, he took the helm as President and CEO. 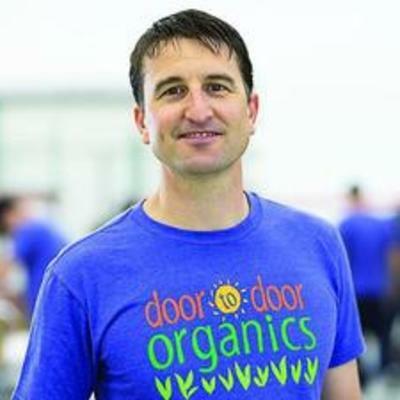 During Chad’s tenure, Door to Door Organics has expanded its base in Colorado and launched operations around the country. While working in the nonprofit sector in Yosemite National Park in California, Arnold learned an appreciation for fresh food, which eventually led to his participation in a local CSA (Community Supported Agriculture.) In 2003, he left his role as an Executive Director at the Yosemite National Institutes (now NatureBridge) to pursue his MBA at the Leeds School of Business in Boulder, Colorado. After that, , he was a C-level executive and business consultant to small- and high-growth companies in the fields of solar energy, biofuels, manufacturing, battery materials and web technology, until joining Door to Door Organics in 2009.